When you think of a Glass Splashback, many people think of their kitchens, but a glass is so versatile it really can enhance any space. Not only is glass hard wearing, scratch resistant, heat resistant and easy to clean, but it can be cut to size, easily installed and comes with an industry leading warranty. If you think outside the box (or house in this case) and start to think about commercial spaces, you’ll start to see why glass makes so much sense. In a commercial office, glass makes the perfect entry wall as it can be customized in so many ways. You can change the colour and style to ensure brand consistency. You can create depth and warmth with your choice of colours, or you could bring a touch of class, or the outdoors in with a custom printed glass options. You can also add a logo or motto to ensure your guest entrance creates the perfect “wow” factor for your clients. Commercial glass panels can be cut to size to fit any commercial space making them perfect for entries, elevators, bathroom walls and much more. Glass has evolved from being all about mirrors to encompassing so many uses it can sometimes be overwhelming. What about your common whiteboard? How much more professional and clean would your office look if you installed a glass “whiteboard” to a boardroom wall? This would not only free up space but make for an easy to clean feature your staff and clients will love. What we do know is that if you have an office space and you want to create that unique feel and make it your own, there is no better and easier way to do that than installing a decorative glass splashback. In fact, Glass is so versatile that DecoGlaze™ just completed a project within an apartment block where we fitted all apartments with bathroom glass, mirrors and all glass panels within the lifts and lobbies. 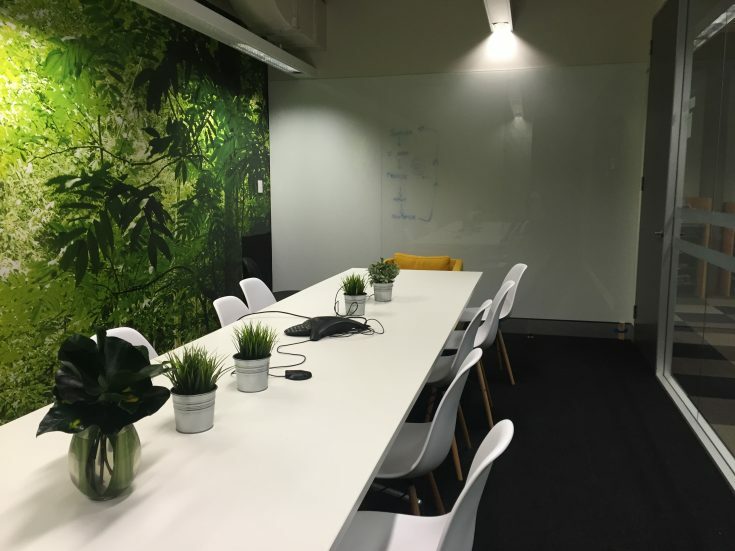 DecoGlaze™ are the professionals when it comes to the measure, fit-out and installation of commercial glass panels and will ensure your next office space has the look and feel you desire and the working space you deserve.